Imagine the possibilities at IMEX Frankfurt. Meet the London Convention Bureau and our fantastic 21 partners at stand F400. 2B UK is a DMC specialist providing a wealth of local knowledge, fresh ideas and well-connected partnerships to its clients. The team approaches each request individually and challenges the norm by working on new ways to elevate every element into an experience while still adding a contemporary twist. 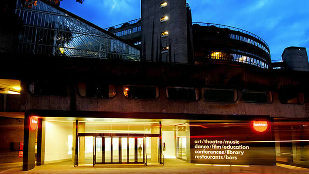 Barbican is Europe’s largest purpose-built not-for-profit arts and events venue. 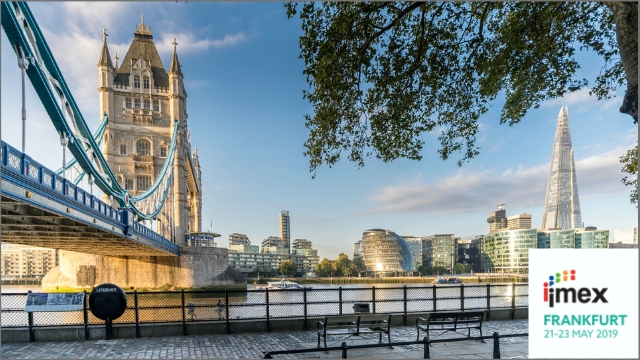 Situated in the heart of the City of London amongst famous historical landmarks such as St Paul’s Cathedral, the centre offers a wealth of space for conferences, exhibitions, banquets and corporate entertainment for 10 to 2,000 people. BMA House is an award-winning venue placing sustainability at the heart of everything it does. Its menus are created from responsibly sourced food and its delegates wellbeing is at the forefront of its design. Talented chefs have created mindfully nutritious menus focused on sustaining concentration and nourishing delegates with wholesome food. Since opening in 2012, Bvlgari Hotel London has set new standards among luxury hotels in the capital, with elegant contemporary architecture and Bvlgari’s legendary flair for design being matched by world-class service. With 85 spacious guest rooms and suites – along with six floors of lavish amenities – the hotel delivers a city hotel experience that is unique in the world. With venue space ranging from small meetings through to conferences for 2,000 delegates and exhibition space spanning 6000 sq m, the Business Design Centre’s event capabilities are truly flexible. Located in the heart of Islington, access to and from the venue is easy through Angel underground station (approximately a three-minute walk) or Kings Cross St Pancras station (approximately a 15-minute walk). Central Hall Westminster hosts over 800 diverse events a year within its unique Edwardian landmark building opposite Westminster Abbey. 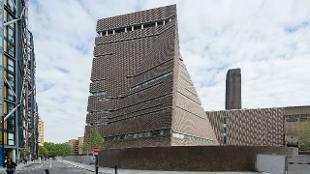 As central London’s largest conference and events centre, it can accommodate a maximum capacity of 2,000 and has 25 varied rooms and spaces – combining spectacular architecture with cutting edge technology, an award-winning team and creative cuisine. 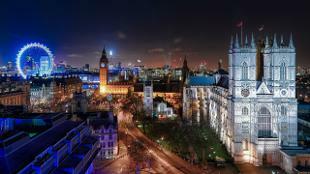 Church House Westminster is set within Dean’s Yard and boasts beautiful views overlooking Westminster Abbey. 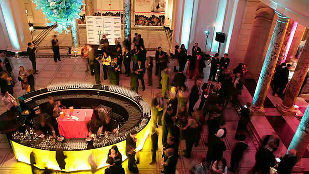 The Grade II listed events venue offers 19 versatile event spaces of which the largest space, the domed-shape Assembly Hall, accommodates up to 664 guests for a conference or 372 for a dinner. The Doyle Collection offers a selection of impressive hotels with meeting and event spaces in central London with tremendous state-of-the-art décor. Whether you're organising a conference, a banquet, or a press event, try The Bloomsbury Hotel and check out its enviable Insta-worthy images. Edwardian Hotels London is a family owned British company with 12 four and five-star hotels in central London, Heathrow and Manchester locations. With stylishly contemporary bedrooms, world-class facilities, innovative gastronomy, more than 150 unique meeting and event spaces, complimentary wifi and great service, it can accommodate up to 1,000 guests. 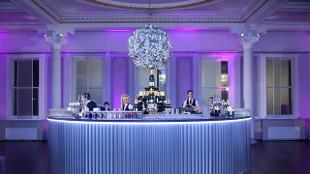 etc.venues provides award-winning event spaces in London, Manchester and Birmingham. Its venues have a variety of inspiring rooms that accommodate everything from small meetings to large conferences, along with excellent in-house chefs and great client service. 2019 will see the start of its global expansion with new venues opening in the US. Eurostar is the only high-speed train that directly links the UK to France, Belgium and the Netherlands via the Channel Tunnel. It has been transporting travellers since 1994. From being one of the first train companies to introduce business lounges and a loyalty programme, all the way to its exclusive carriages and onboard experiences, it has always been at the cutting edge of innovation in the industry. 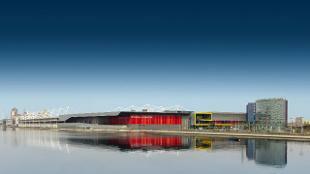 At ExCeL London, every event is unique and tailored according to the requirements. On offer is an incredible 100,000 sq m of flexible event space, including the UK's largest auditorium (up to 5,000 delegates) and a stunning, multi-function conference suite with a fabulous reception and registration areas (2,500 delegates). 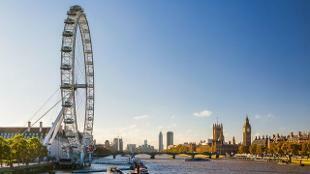 glh Hotels has London Meetings covered. The perfect space for your London event. 14 hotels across the city offer more than 120 meeting rooms, accommodating everything from a small seminar or ad-hoc meetings to a major conference or grand gala ball. For hundreds of years, Historic Royal Palaces has provided the backdrop to glittering banquets, ground-breaking conferences and splendid royal occasions. From the majestic Tower of London to the romantic Kensington Palace, from the flamboyant Hampton Court Palace to the intimate Kew Palace, make your event an unforgettable experience at one these truly unique venues. Opened in 1865 as Europe’s first “Grand Hotel”, The Langham, London has an unrivalled location at the top of Regent Street. After an extensive transformation, the hotel offers the most luxurious guestrooms and suites, classically styled and evoking a warm residential feel with flawless service. From state-of-the-art meetings rooms to the lavish Grand Ballroom with adjoining Courtyard Garden, a rare al fresco space in the heart of London, there's a venue for every event. 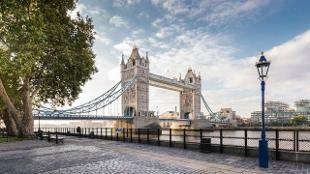 From London’s West End to the buzz of east London, the Marriott London Complex brings together five luxury hotels and award-winning brands, uniquely positioned to offer a distinctive experience to guests. Individual design, city centre locations and excellent meeting facilities are key features in the Park Plaza brand, making it ideal for both corporate and leisure guests. Contemporary function spaces are flexible for conferences, exhibitions and private event use and are perfectly complemented by stylish guestrooms, vibrant restaurants and bars. A London-based dedicated and passionate Destination Management Company offering knowledgeable assistance, creative insight and meticulous delivery throughout the UK. Its team’s passion for what it does, paired with its creative flair, sets it apart. Working with Principal. 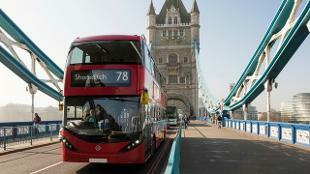 London means every programme is tailored specifically to meet your needs. Discover the Principal. London DMC experience. The QEII Centre is the largest dedicated conference, events and exhibition space in central London. Located in Westminster, the venue offers world class facilities for high profile conferences, awards dinners and corporate events with a capacity of up to 2,500 delegates. The Centre hosts more than 400 national and international events every year. Rail Europe, in operation for over 80 years, is your one-stop booking resource for European train tickets and rail passes. It prides itself on delivering quality service to all travellers, no matter the size of the group. Offering customised services for travel needs throughout Europe, with Eurostar, TGV, and TGV Lyria being a few of its main partners, it can help make the journey every bit as memorable as the destination. Rosewood London combines English heritage with contemporary sophistication in the heart of London, moments from Covent Garden. Meeting rooms and event spaces offer an exquisite heritage destination for celebrations, social occasions, weddings, conferences, incentives and corporate hospitality. Personalised, five-star service combines with picturesque, flexible spaces to create sophisticated events and memorable moments. Contact our team to book an appointment at IMEX Frankfurt.